Everyone loves to have extra money. Whether you’ve always been an entrepreneur at heart or a regular 9-to-5 professional, it is no longer practical to have just one source of income. An ecommerce business is ideal for those who want to do it full-time or as a sideline. 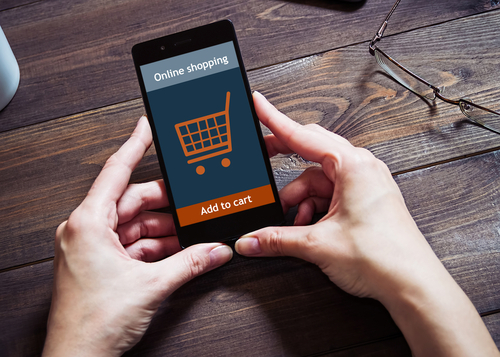 If you currently have a typical brick-and-mortar establishment but haven’t started an online store, now is the time to go digital. Social media and the Internet, in general, can transform your business and allow you to enter markets far beyond what you have now. Entrepreneur noted that ecommerce produces an instantaneous impact on your sales and marketing efforts. You can expand your reach to more potential customers just by posting your products and services online. Web-based selling goes beyond geographical boundaries so you can create a customer base even when they’re all the way across the globe. Since it is dependent on today’s ever-evolving technology, ecommerce and Shopify business owners should continually keep up with the latest news and trends in the industry. There are plenty of resources that can help you learn more about how to create and maintain your online store; click here to do just that. Here are some tips you can use to increase sales with your ecommerce and Shopify business. It just takes about 10 seconds for an individual to decide whether they will buy your product or not. Be as creative as possible regarding the images and videos you post since you will never get back the chance to make an excellent first impression again. Invest in the best design for your company website to ensure a user-friendly experience for potential customers. If you’re an apparel store, fill your digital space with attractive posters and high-fashion imagery. For food businesses, you can upload photos of your products as well as videos on how they are made. Think about the needs of your customers. If you were in their shoes, would you want to buy from your ecommerce store just by looking at the photos and layout? Give your buyers free shipping, offer the right pricing, and make the checkout process as seamless as possible. These extra services may not be evident to you but it will mean a lot to your customer. “The customer is always right” has always been a sacred practice for entrepreneurs. Your clients are the reason why your business is thriving so you should guarantee their satisfaction in every way that you can. Your website should look good no matter what device your customers use. Most people are on their phones nowadays so it would make a lot of sense for you to optimize your online store for mobile screens. Stay relevant by thinking ahead and creating a comfortable shopping experience for your target audience. Another ideal option would be to create an app for your store. Having an app created is an investment that focuses on convenience for your customers. Make it easier to navigate than your website if possible. You can also promote app-exclusive discounts for your loyal followers as well. Social media is every ecommerce entrepreneur’s best friend. It’s a cost-effective tool for reaching a wider global audience. Build a steady online presence and you will see an improvement in your leads and sales. Create relevant content with beautiful, high-quality images and videos. Be sure to add catchy captions as well as witty hashtags to become a successful influencer on Instagram, Facebook, Twitter, and YouTube. Modern consumers want their information to be easily digested. Focus on visual content when sending a message to your customers. Posts with images or videos are more likely to get shared or retweeted compared to posts without media. Engage your site visitors through live chat. Put a personal touch on every interaction with the live chat strategy. Your customers will feel more welcome, similar to the feeling they get when staff at a brick-and-mortar store is welcoming them. Aside from live chat, you can add call-to-action and sign-up buttons on your site to gain an increase in conversion rates. All you need is their email address and you can sell your products and services to them via newsletter. An ecommerce or Shopify business requires the same amount of time and effort as an offline store. With the digital realm constantly evolving, your business will have to as well. 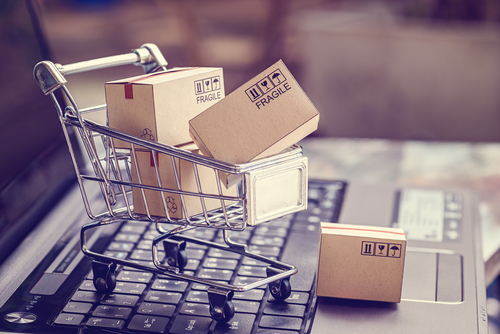 Consider these tips when planning your newest ecommerce strategy—when you see the improvement in your passive income, you’ll know that all your efforts were worth it.